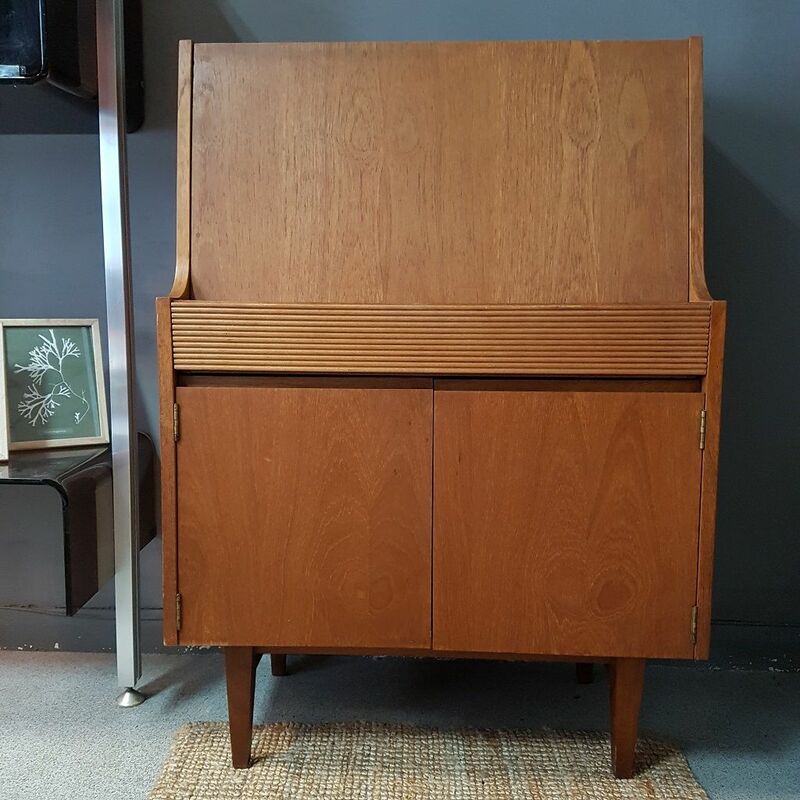 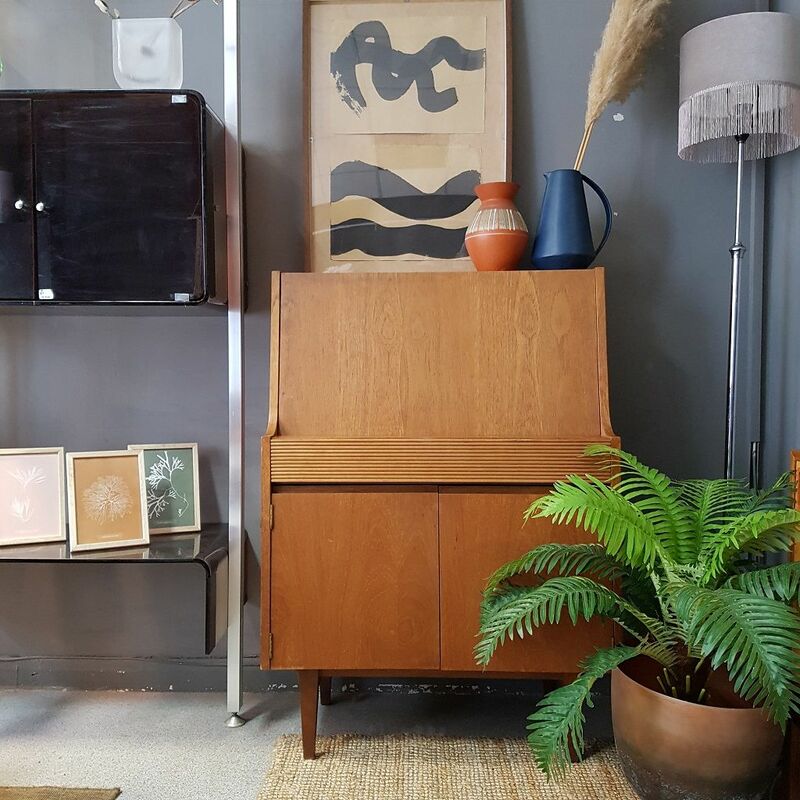 This beautiful mid-century teak bureau by Elliotts of Newbury offers super-smart storage combined with desk functionality. 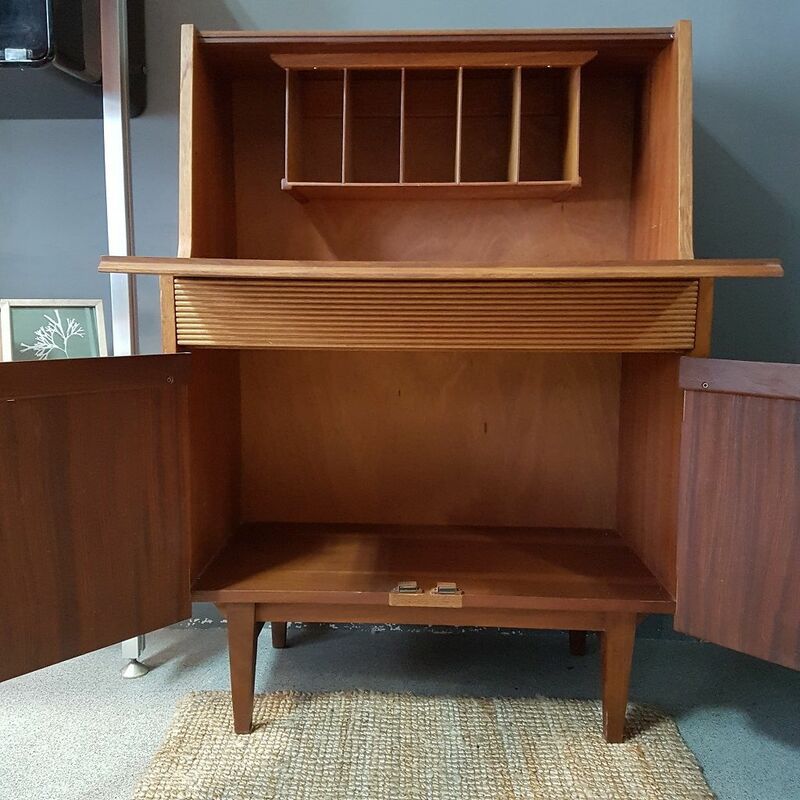 Its front pulls down, creating a generous desk surface big enough for a laptop and paperwork, and revealing five storage compartments. 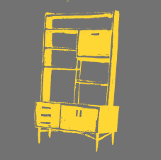 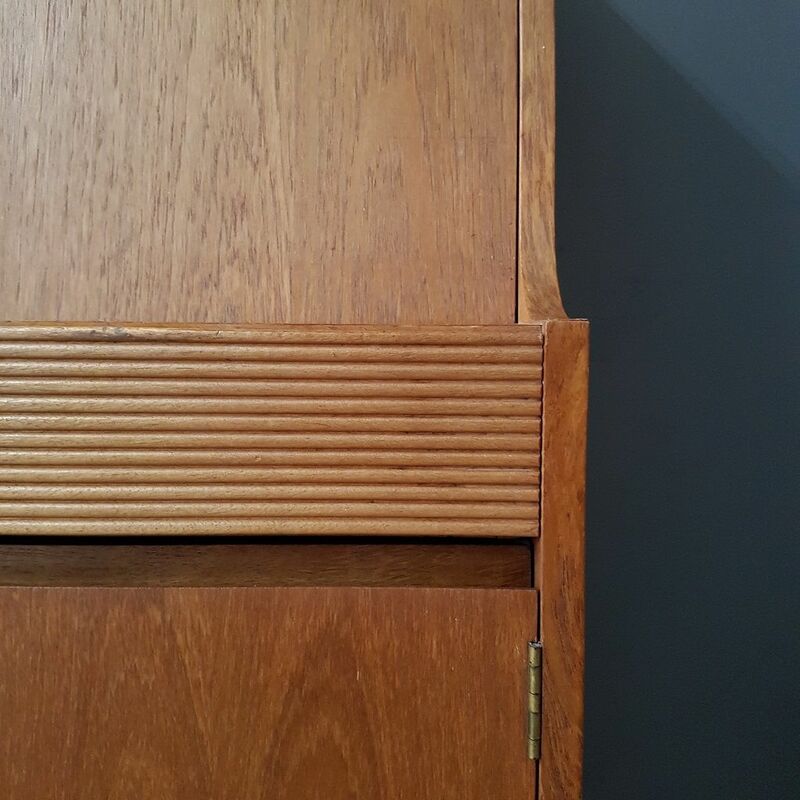 It also features one ribbed-detail drawer and a spacious double-fronted cupboard. 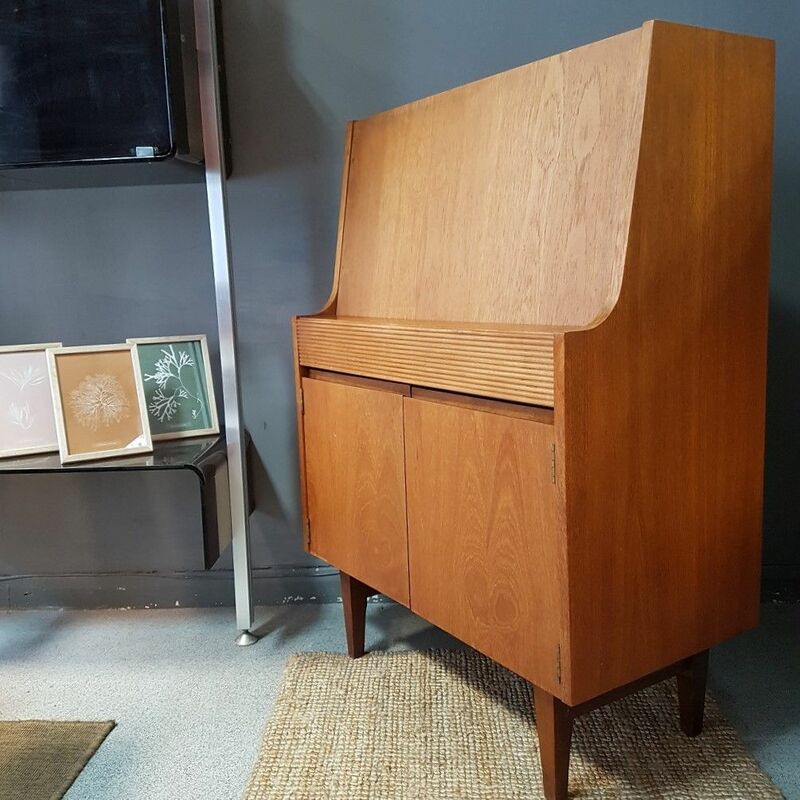 It has signs of use in keeping with its age, but this is a lovely vintage piece in very good condition.